DAVE BOTHA – Rotational Plastics Limited, Auckland. JOHN ALLEN – NZ Sign Company, Hamilton. JOHN & WAYNE HEYWORTH – Textiles Alive Limited, Mt Maunganui. JUSTIN FRICKER – Triode, Auckland. NATHANIAL FAIRWEATHER – Triode, Auckland. Advantage business was instrumental in helping me to develop my person and my business which is exactly what I expected from them. Working with Craig helped me find the clarity I needed. His coaching was pivotal point in my journey. Plus he's a nice guy and clearly enjoys this stuff. Our advisor quickly picked up the dynamics of our business and staff and continues to provide professional and constructive advice. Good, professional, constructive advice from our advisor which I think would be reflected in other staff within Advantage Business. With Advantage's assistance over a two year period we did a total management restructure. The company now runs much smoother with a major turn-around in production issues showing a positive effect on the bottom line. A good man with expansive experience and know how. Has an ability to facilitate great conversation. Trevor Clark from Advantage Business has been perfect for our business, he understands our industry and is very knowledgeable in a lot of areas of the business. Our bottom line has improved markedly since our coach has been working with us. Craig is very personable and knows what he is talking about and is able to convey information in such a way that makes it easier to understand. We worked hand in glove with Trevor Clark who has a vast range of expertise to draw on, which was available to us across the board in all matters relating to our business. Trevor is definitely not a one trick pony and his people reading skills have also been very welcome in improving the culture for our team, essential to any business moving forward. Onwards and upwards! Thank you. Through the business mentoring system Advantage provided, we developed a management focus filtering through to the up-grading of all systems including accounting. We have been able to focus significantly on internal and external growth. Being a small business owner is a bit like being a vet, you have to have some level of expertise in all aspects of the business environment and compliance. Often it is hard to focus on the real issues on which to concentrate your energies. Having a business advisor work alongside you allows you to set goals, so you can pull out the essential focuses and gather together the information that you need to get some solutions. Being involved with Advantage brings a whole range of related experts that a small business may not have time to access or assess, with which to achieve your goals. I think any owner going through a change in the business environment can use some guidance. Rod Way, was great for Textiles Alive. Stripped our concerns and issues back to the basics, to make them manageable and able to address in priority order. Made sense of the chaos really and identified surprising 'contributors' to the chaos - which have now been removed, which allowed the business to flourish. With a rapid increase in business since the Christchurch earthquakes we had just been focusing on getting by on a day to day basis but felt it was time to ensure our business was well placed for the future. We engaged Advantage Business and working with John Dyer was a pleasure and his advice has been invaluable. John's easy going manner put staff at ease and he has given us direction to move forward as a team with a clearer vision and focus. Enjoy dealing with Andrew, just wish we could use him more. Smooth-Air Products Ltd has experienced considerable growth over the last few years. We employed the services of Nick Cimino of Advantage Business Ltd to assist in managing growth creating a sustainable platform for the future and to continue its growth path in becoming the dominant provider of HVAC solutions to the market.This was achieved by instigating:•	A team engagement and feedback program, and assessment •	Comprehensive Financial analysis •	Marketing and Sales analysis •	Regional and National Demographics & GDP analysis to determine asset resource commitments and correction This resulted in a comprehensive professional report – the ‘ Strategic Review ‘ that is now being introduced to strengthen the management structure and provide better definition to each of the many team members.We found the exercise to be expertly handled with an excellent understanding of our market and business. The team feedback program by its very nature needed a high level of sensitivity and discretion and this was duly applied. I have worked with Advantage Business (Trevor Clark) for several years, they have had the best Advisor working with me who understands my business and brings valuable insight and knowledge with the aim of growing my business. I have been given sound advice. We have found your service to be a really useful tool in decision making for the future. Very easy to access and helpful friendly service. I have found my advisor from Advantage Business has gone above and beyond with regards to his guidance and advice over a long stressful period. He has given sound business advice for a new owner to understand and I would have no hesitation in recommending him. 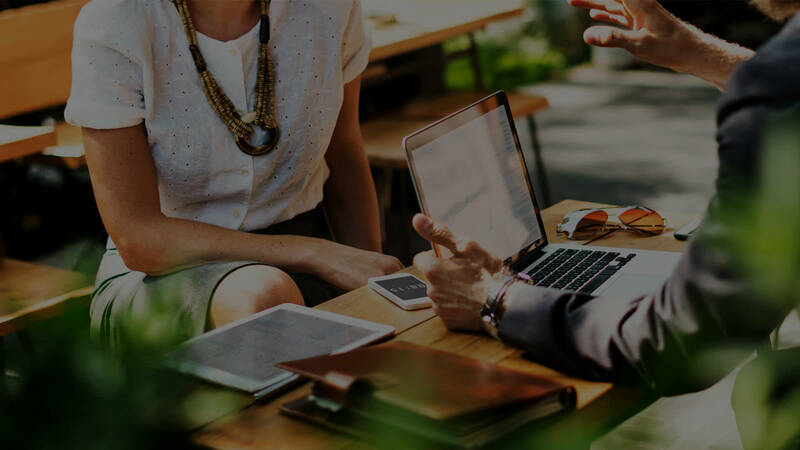 Advantage Business has proven to be hugely helpful in both fine tuning our current main core business, as well as instrumental in our decision making during the developmental stages of a new business venture. Greg was very approachable and hugely informative. Through Advantage we have increased our turnover by 30% and profit to a greater degree than we could have hoped for. We now know the value of working on the business as well as working in it. We were approached by Advantage Business Services when recruiting a General / Operations Manager for our business. We found our coach to bring a level of professionalism to our table that we had not experienced before. From interviewing prospective employees to resetting our Vision, Mission and term strategy I was really impressed with the way an existing board mind set were politely challenged and our financial, systems and process compass were reset. We finished the year ahead of budget and it was our best year ever. Maybe some of that could be attributed to the economy but the way the year ran was more relaxed on account of a systems driven culture developing. The bench-marking exercise was helpful and on account of it being independently run gave us an unbiased snapshot of where we sat in our market. I suggest many businesses would benefit from utilizing a service like this. A Quick Phone Call Or Email Is All It Could Take.. 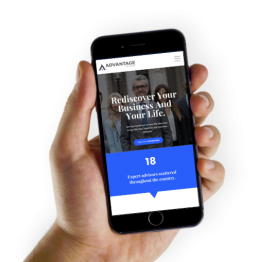 Advantage Business is in the business of transforming the lives of business owners so they can enjoy the best of both worlds: running a high-performance company while still enjoying time to live life outside of the business world. © 2019 Advantage Business All rights reserved.